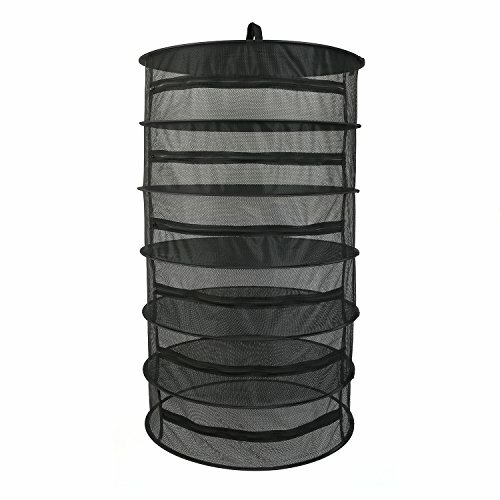 Bstpart Enclosed w/ Zipper Opening dry net Made of breathable mesh material there's no need to worry about rotting or fungus, and Enclosed w/ Zipper Opening desgin, so there's no danger of dropping or losing any of your yield. Available in multiple sizes come soon,these racks will fit any grow room situation. when you're done using them, simply collapse them and store them in the included black carrying case.